Up to six B-52s are expected to arrive before the weekend, a source told Military.com. NATO said the aim of the exercise, which begins on Monday, “is to improve interoperability between NATO and Georgia and educate the Georgian armed forces about NATO standards for collective training and exercise”. 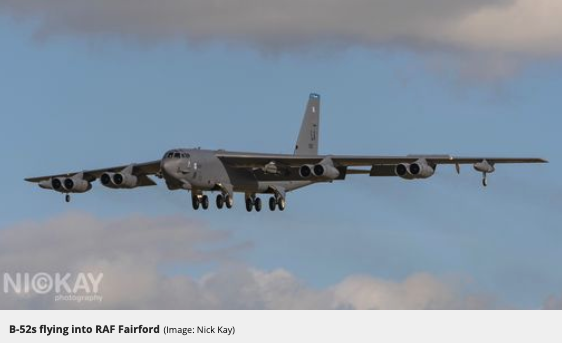 Deployment of the B-52s to the English countryside comes at a time when Moscow is increasing its hypersonic missile stockpile and has recently sent its fifth-generation stealth fighters into series production. RAF Fairford has previously hosted an array of American bombers, triggering massive demonstrations by anti-war protesters. 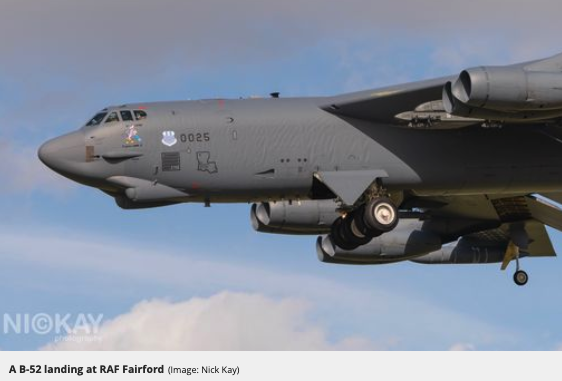 USAFE didn't disclose how long the bombers will remain at RAF Fairford. The B-52 is the oldest airframe in the Air Force. The bombers have been in every conflict since the Vietnam War. B-52s have been heavily modified over the years for low-level flight, conventional bombing, extended-range flights, and transport of offensive equipment. The plane can even launch hypersonic missiles.